Ponthep Garden Ville 7. This 2 storey townhouse is located in a quiet village just off of Highway 7. 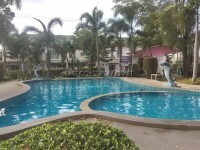 It has easy access into Central Pattaya, Soi Siam Country and other tourist attractions. The home consists of 2 bedrooms and 2 bathrooms. Well furnished and comes included with European kitchenette, 2 air con units, washing machine, dishwasher and hot water bathrooms. 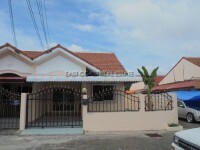 Available for sale fully furnished with title deed held under Thai Company name.